So you have read a five hundred page anthology of recent, nuanced fantasy and have a need to blow all the sensitivity out of your veins. The antidote is The Big Book of Adventure Stories. This hefty tome came out a few years back from Vintage Crime. Otto Penzler edited the book as part of his line of big trade paperback anthologies. This particular book comes in at 872 pages of prose. 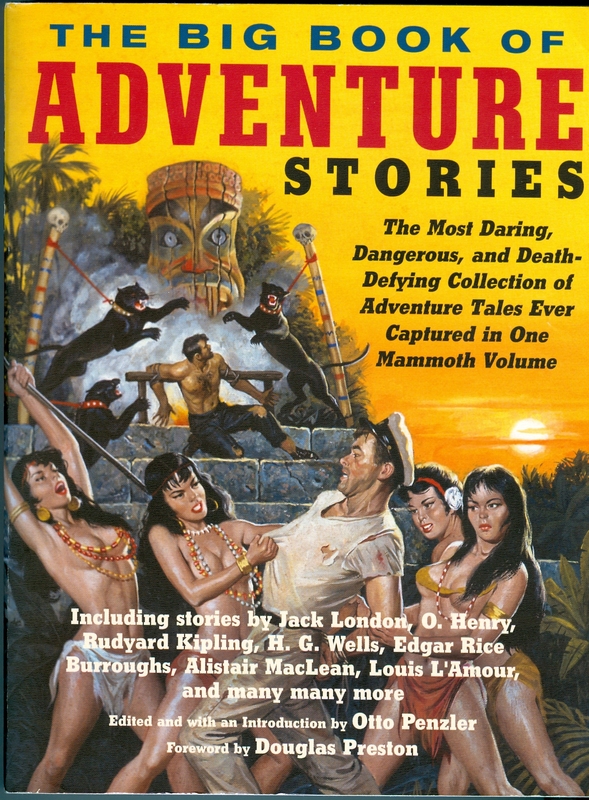 The cover is taken from the December 1961 issue of Adventure when it was in its “man’s sweat” phase. It had ceased being a pulp ten years earlier. There is something for everyone in this book. The contents are subdivided into sections: Sword and Sorcery, Megalomania Rules, Man vs. Nature, Island Paradise, Sand and Sun, Something Feels Funny, Go West, Young Man, Future Shock, I Spy, Yellow Peril, In Darkest Africa. 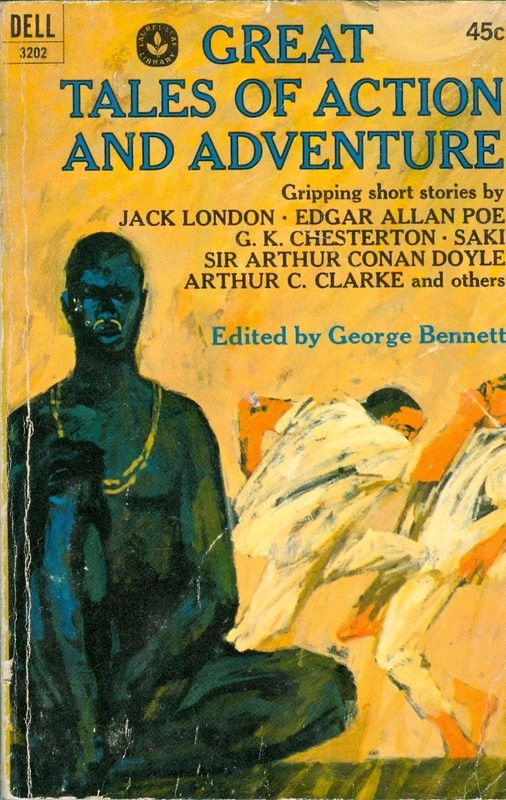 Among the writers included are Harold Lamb, Robert E. Howard, H. Rider Haggard, Edgar Rice Burroughs, John Buchan, Alistair MacLean, Rafael Sabatini, Sax Rohmer, Cornell Woolrich, Fritz Leiber, Rudyard Kipling, Jack London, Clark Ashton Smith, H. G. Wells, Louis L’Amour, P. C. Wren. I have a few quibbles. The spy section struck me as restrained instead of two fisted pulp. I probably would have used spy stories by Ared White or Frederic Faust as “Max Brand.” Damon Knight’s “To Serve Man” struck me as being totally out of sync with the idea of the book. Considering there are 47 stories, that is still an excellent ratio. You have appearances by Khlit the Cossack, Conan the Cimmerian, Fafhrd & the Gray Mouser, Cisco Kid, Zorro, Hopalong Cassidy, Buck Rogers, Sheena of the Jungle, The Spider, and Tarzan. If you want to get someone up to speed on classic fictional characters, this book is an excellent starting point. The Big Book of Adventure Stories contains the complete novel “Tarzan the Terrible” (one of the better ones) as the end note. 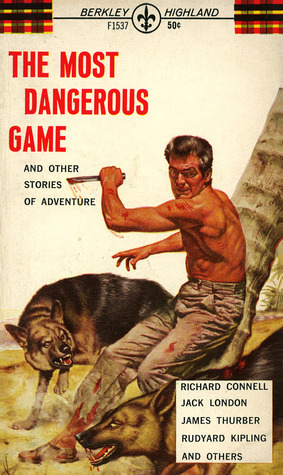 At first, I wasn’t crazy with some of the reprints including “The Most Dangerous Game” by Richard Connell or Jack London’s “To Build a Fire.” These stories have been reprinted many times before. But, there are people who have never read these stories before. I blew through this book in short order mostly of it on the front porch hanging swing. People say that boys do not want to read. Give them this book (along with a Ka-bar knife) for their birthday. There used to be mass market paperbacks of this sort. Use this book as the text book in English class for boys 12-16. So keep The Big Book of Adventure Stories as backup to recover from reading bad prose. Five out of five rating.